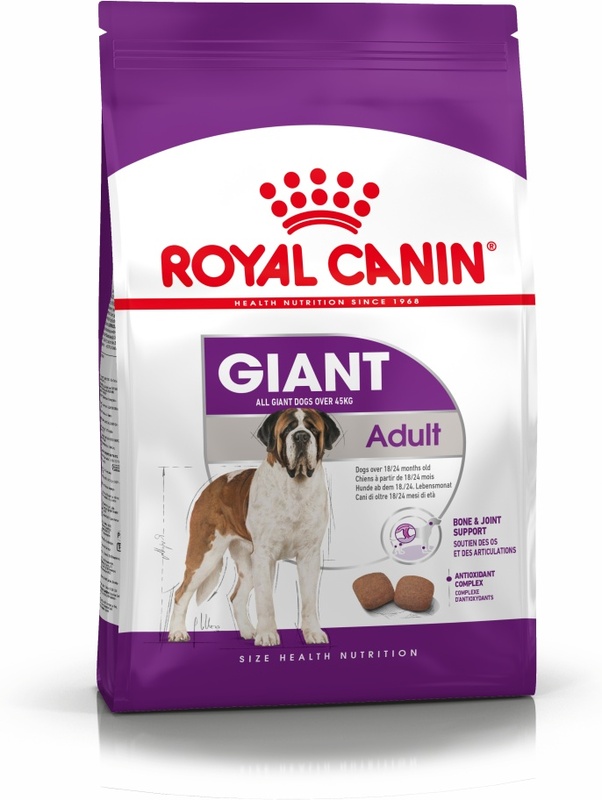 Royal Canin Giant Adult helps maintain healthy joints in giant breeds. Helps support giant breed dogs’ healthy bones and joints, which can be placed under stress by body weight. Chondrotin promotes cartilage hydration and glucosamine stimulates cartilage turnover to help maintain healthy joints in giant breed dogs. Royal Canin's years of research have resulted in a complete dog food that meets all the nutritional needs of giant breeds such as Saint Bernards, Newfoundlands, Leonbergers, Great Danes, Irish Wolfhounds and Mastiffs. 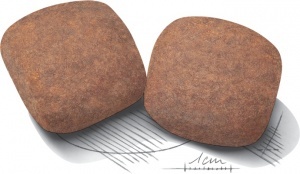 A patented kibble that encourages chewing and halves the speed of food intake for giant breed dogs. 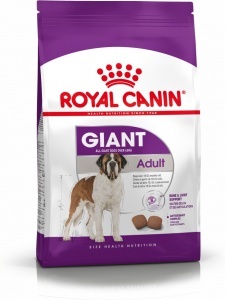 Royal Canin Giant Adult helps maintain kidney function with a reduced phosphorus content. Dehydrated poultry protein, maize, maize flour, animal fats, wheat, rice, hydrolysed animal proteins, maize gluten, beet pulp, vegetable protein isolate*, fish oil, minerals, vegetable fibres, soya oil, yeasts and parts thereof, borage oil, hydrolysed crustaceans (source of glucosamine), marigold extract (source of lutein), hydrolysed cartilage (source of chondroitin). Crude ash: 5.3%. Crude fibre: 1.8%. Crude oil fats: 20%. Moisture: 0%. Protein: 28%.